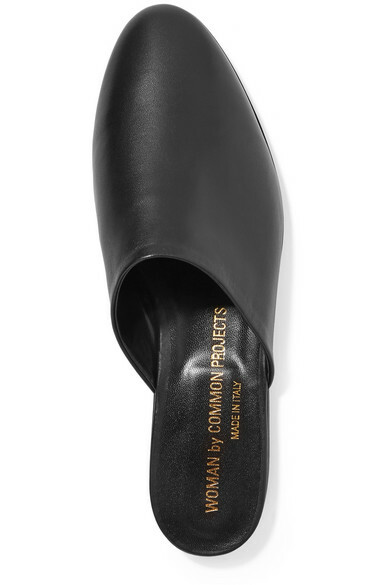 Common Projects' slippers have the same understated appeal as the label's cult sneakers - they're just as versatile, too. 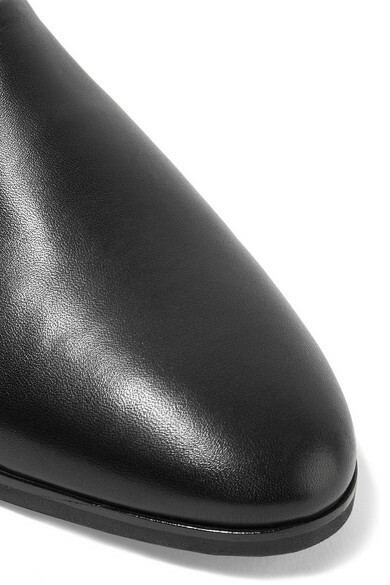 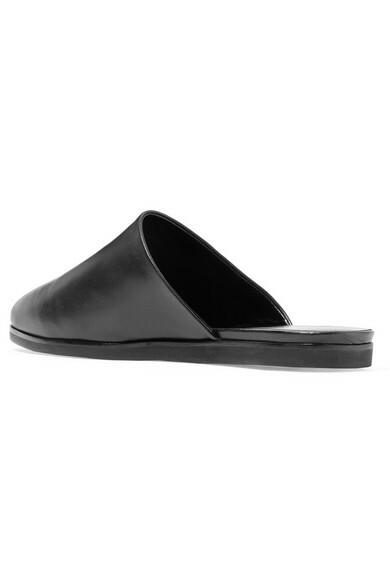 This pair has been made in Italy from supple black leather and set on a slight heel for added lift. 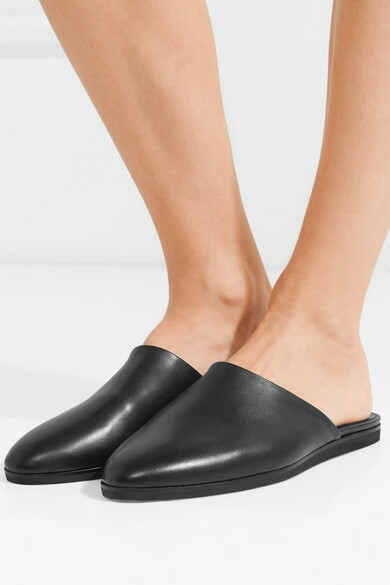 Wear yours with everything from skirts to tailoring. 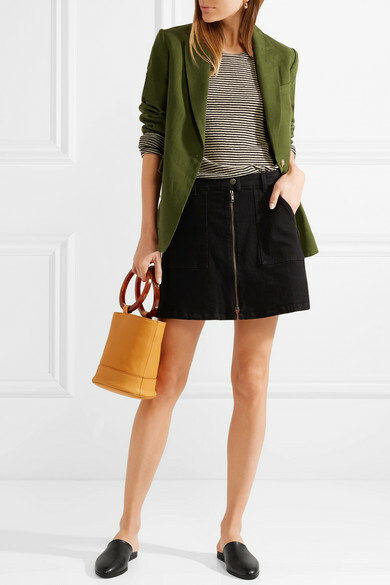 Shown here with: Madewell Skirt, Isabel Marant Étoile Top, Golden Goose Deluxe Brand Blazer, SIMON MILLER Bucket bag, Kenneth Jay Lane Earrings.